This dish is a great side dish to accompany any meal. You can make it a day or two in advance, too. Who doesn't love cheesy broccoli and cauliflower? 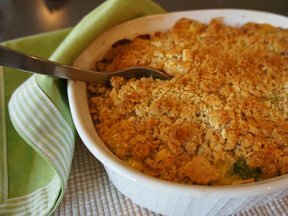 In a large saucepan, simmer broccoli and cauliflower in boiling water for 8-10 minutes, or until softened but still crunchy. Drain and set aside. In a large saucepan, melt butter and saute onion until softened, about 5 minutes. Stir in cauliflower, broccoli and rice until combined. Add in the cheese, chicken soup and milk. 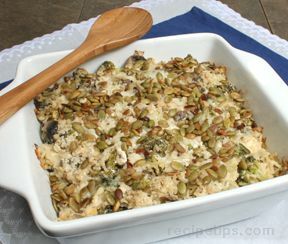 Transfer the entire mixture to a 9x13 inch baking dish and sprinkle the crackers on top. 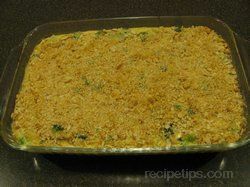 "This casserole was good. I could have given a 5-star but it was just a little dry. Next time I will add a full cup of milk instead of only 2/3 cup and maybe that will help."